My ever lasting love of neutrals continues. I love mixing the same color families of jackets and pants. I find it way more fun than just wearing good classic suit. These cropped trousers might not be the most contoured but the effortless flowing element these add to a more classic blazer is exactly what I wanted. 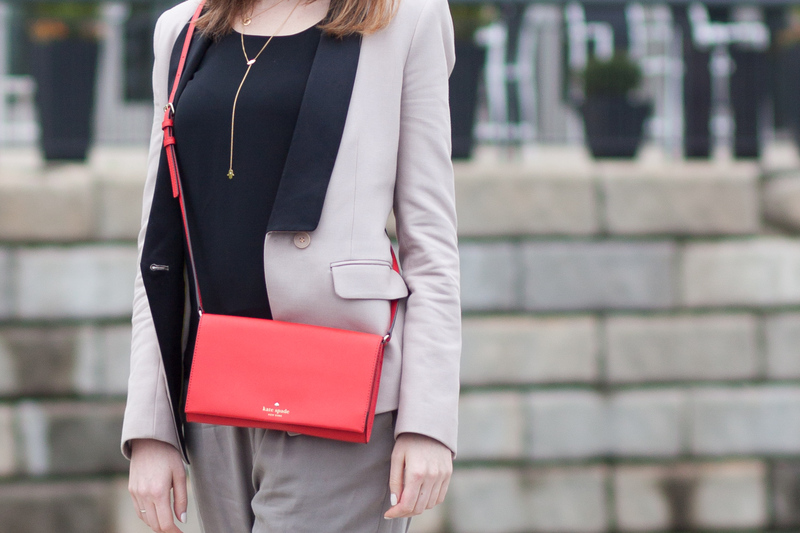 Red bag adds a little pop of color to the overall very neutral outfit.